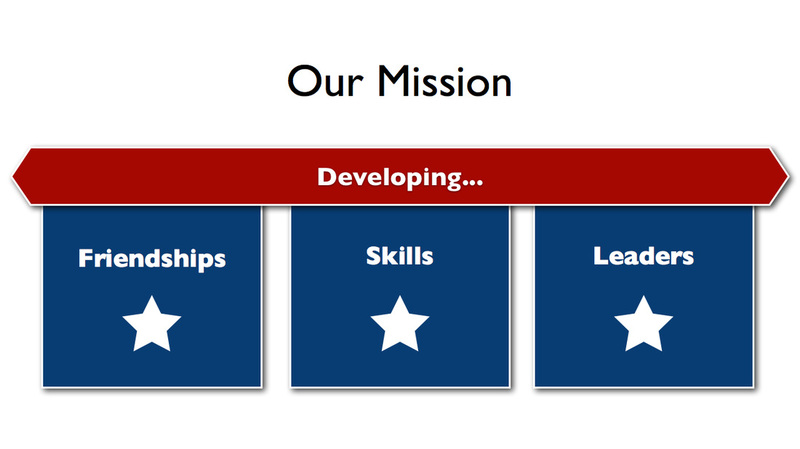 To start, the 3 stars at the top of the crest represent the 3 key focus areas of our mission statement. Simply put, our goal is to help players have fun, become proficient technically, and to emerge as future leaders within our community. We want players to leave every practice and games with a smile on their face and be eagerly anticipating their next session. By having a blast on the pitch, we hope kids will establish new and lasting friendships. Likewise, we hope our parents will develop meaningful relationships that they can carry over from season to season. We think soccer should be an engaging challenge that builds confidence through skill development. Our goal is to have players get better with each and every practice and we hope to instill an appreciation for healthy living and exercise. We want to help players develop valuable leadership skills that can be leveraged as our children continue maturing into young adults. We hope that Wells Branch Soccer players will emerge as leaders, not only on the pitch, but in the classroom and broader community as well. 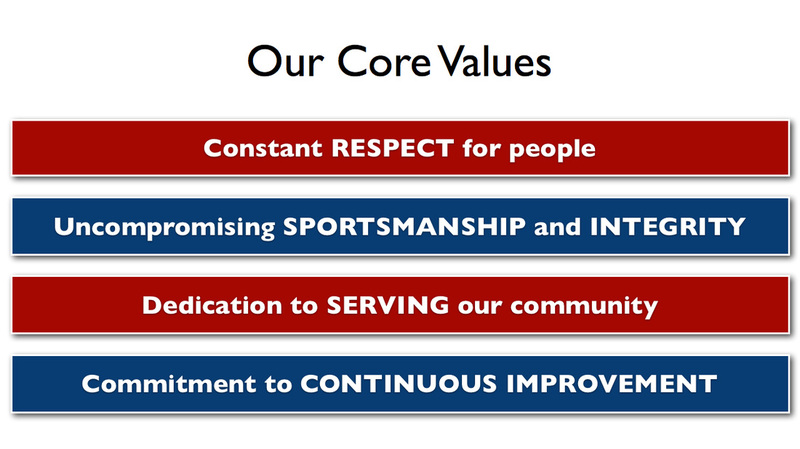 The 4 shields around the logo are intended to represent the 4 core values that should permeate everything we do and say. We trust that all our members will treat everyone involved with Wells Branch Soccer with the respect and compassion they deserve. Likewise, it’s imperative that everyone representing our club act with integrity and unwavering sportsmanship. We should win with humility and lose graciously. We expect all our players, parents, and coaches to maintain a positive, supportive attitude. This is especially true when we interact with partner organizations. Our community does a lot to support all our soccer teams. We are fortunate to be afforded access to unrivaled facilities thanks to the Wells Branch MUD. To show our gratitude, we expect members to give back in any way they can. This includes helping us care for the fields and showing strong support local events and festivities that require volunteer assistance. 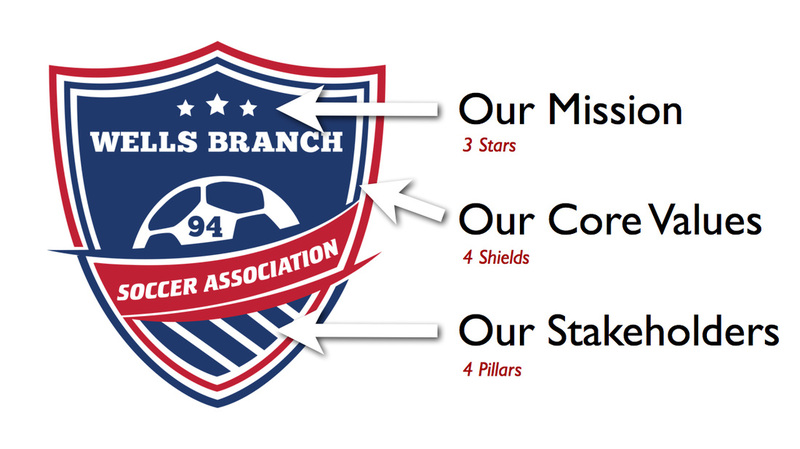 Our leadership team is committed to making Wells Branch Soccer better each and every day. We encourage members to be vocal about what is working and what can be improved within the organization. We trust that you’ll maintain a solutions-oriented attitude and hope that you’ll recognize our transparent and inviting culture that craves feedback. The 4 pillars at the bottom of our new logo represent our key stakeholders, who are the foundation for our entire organization. Obviously the players are our main priority and their best interests should be guiding all of our decisions. The parents and coaches are the glue that hold Wells Branch Soccer together - we couldn’t operate without you. And lastly we should be mindful of our strong partners, who help ensure that we are providing a rich soccer experience. Of course our most important relationship is the one we have with the Wells Branch neighborhood and our awesome MUD. Their support is invaluable and the resources they provide are what allow us to provide a truly differentiated experience for our families. 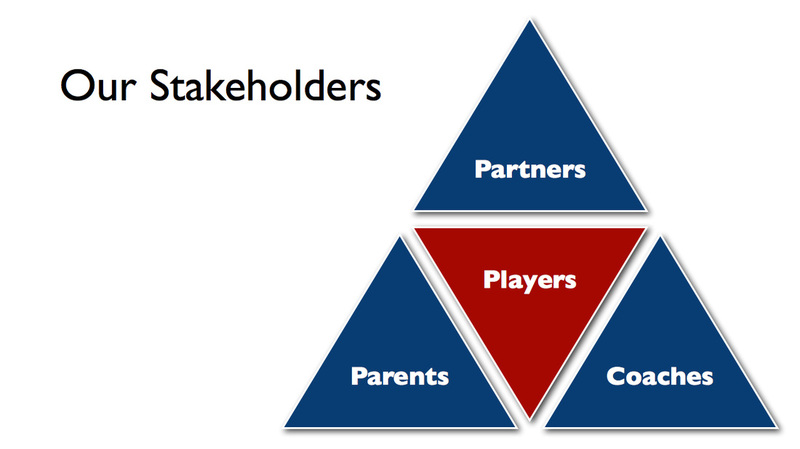 We also have strategic partnerships with neighboring soccer associations that share our same basic philosophy. By partnering with clubs in the Pflugerville and Round Rock areas we are able to offer a very diverse soccer experience. Not only do we get to host our friends from around the North Austin area, but they’ll be welcoming our teams to their facilities throughout the season as well. It’s a great experience that better prepares our children as they continue developing as soccer players. Finally, we prioritize "Total Player Development" above all else. This means the club is committed to building young leaders that will thrive both on AND off the pitch. That's why we take great pride in seeing WBSA players excel in the classroom, in extracurriculars like STEM and Fine Arts programs, various other athletic endeavors, and selfless community outreach / volunteer projects.